Almost seven years ago, the White House issued its 25-point Implementation Plan to reform federal IT that mandated federal agencies “evaluate safe, secure, cloud computing options before making any new IT investments.” The U.S. federal government seems poised to enter a new era of cloud computing after the last seven years of trial and error yielded important lessons learned and repeatable best practices. What about cloud is working or not working? Are federal agencies fully realizing the promised cost savings? How pervasive is cloud adoption? 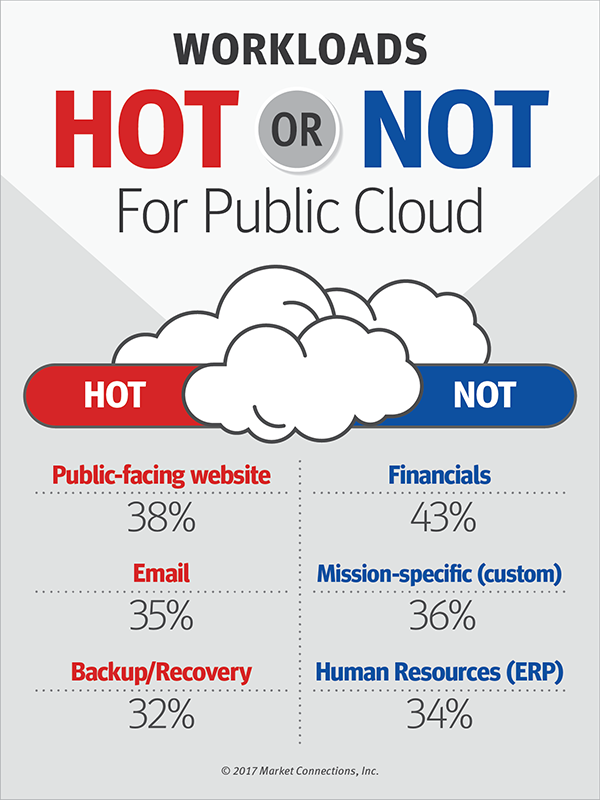 What workloads are agencies putting into the cloud? Nutanix commissioned Market Connections to survey a representative audience of federal IT managers and leaders to find the answers to these questions. The cost of maintaining and refreshing legacy hardware-centric infrastructure is responsible for soaking up a majority of IT budgets. Federal agencies can often do little more than maintain the status quo on Administration priorities such as cybersecurity, data center consolidation and cloud computing. While IT managers are fully aware that legacy systems are expensive, brittle, inefficient, time consuming to maintain and an obstacle to successfully addressing Administration priorities, many are unsure or unaware of the options. 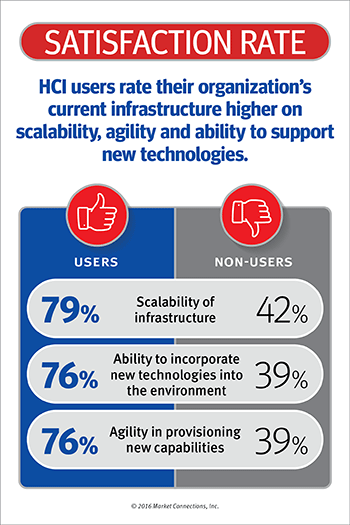 A solution to these challenges may be transitioning from legacy architectures to Hyperconverged Infrastructure (HCI). To help IT managers grappling with the challenges of modernizing their network and wondering if HCI makes sense for their agency, Nutanix commissioned Market Connections to determine the degree to which federal IT managers are using HCI and the impact using (or not using) it has on the pressing needs and challenges agencies face.